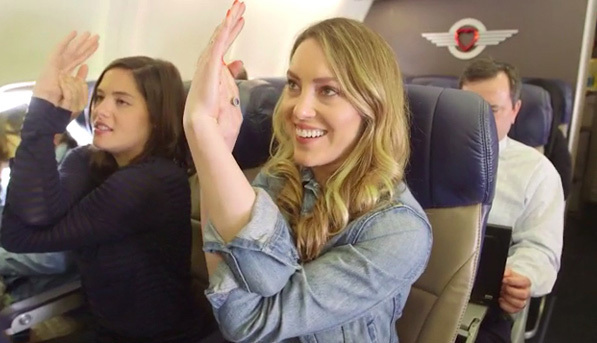 Travel can be incredibly stressful, especially on a cramped flight. The best way to relieve some of that anxiety is through a few simple yoga moves—no mat necessary. Our friends at PureWow have six awesome moves that will have you relaxing in no time! This simple breathing technique is guaranteed to chill you out. Learn more. Do this to release tension in the upper body. Stretch your arms to relax the upper back even more. Wake Up Legs and Hips. Legs feeling stiff? Here’s how to get your circulation going again. Unwind a Tight Lower Back. Use your torso to release the tension. Energize with a Side Stretch. 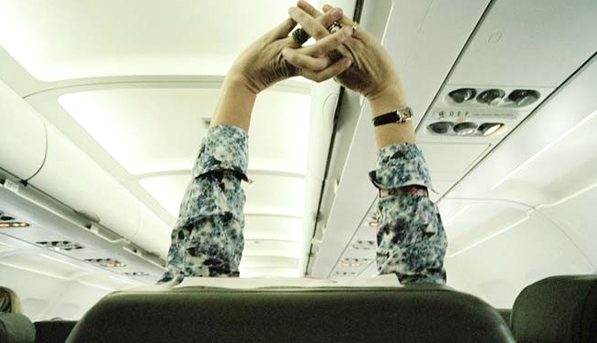 This deep stretch is especially useful on a long international flight. Learn more. Quiz: Should I Have Another Baby? Which is Better? Solo Workouts Or Group Classes?